We really have to thank the ancient Greeks for giving us a lot, including democracy, philosophy, art, and architecture. Science? Well, yes and no. Some of their science was born out of superstition. They believed in a plethora of gods that had magical powers over them and the environment. 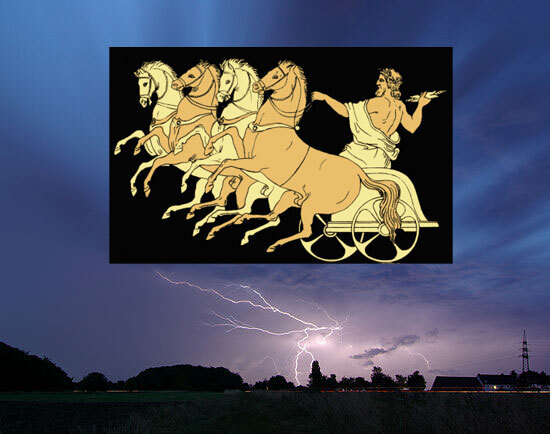 Zeus, Hades, and Poseidon were the big three Greek gods who the ancients thought held sway over the land, and indeed their very lives. But we now know (hopefully) that many of the powers they would have attributed to Zeus were just electricity from thunderstorms. Since the days of old, our knowledge of science has expanded past superstition. Instead of rolling dice, we use the scientific method to provide an objective and standardized approach to conducting experiments and learning. Update: A fan of the Greek mythology book series with Percy Jackson? Check out Rick Riordan Talks About Mark of Athena and His New Norse Demigod Series. Why Do We Believe in the Unbelievable? 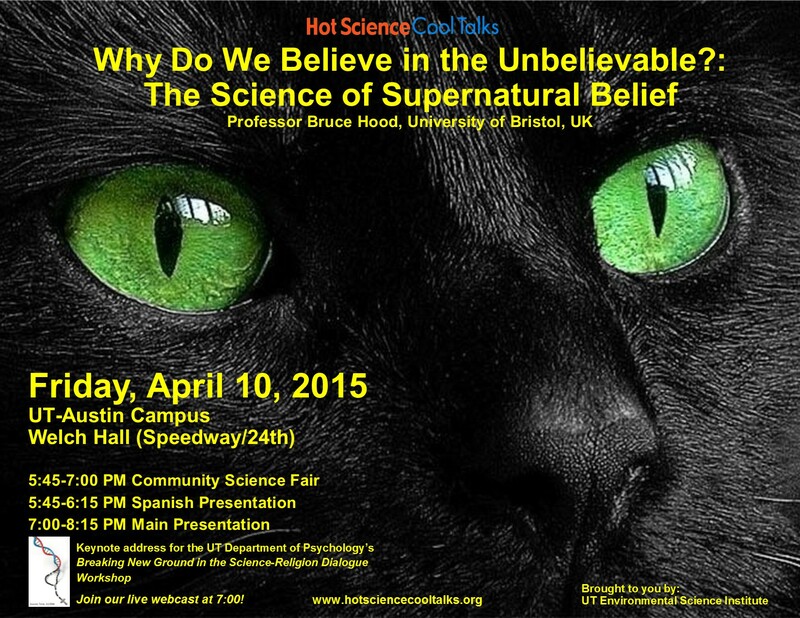 This Friday’s Hot Science – Cool Talk presentation, Why Do We Believe in the Unbelievable? : The Science of Supernatural Belief, by Dr. Bruce Hood, Professor, Experimental Psychology at the University of Bristol, United Kingdom, explores why many people believe in supernatural phenomena. This intriguing lecture starts on Friday, April 10, 2015, at 5:45 pm with a community science fair. Those are lots of fun. The main program begins at 7:00 pm in the Welch Hall Auditorium on the UT Austin campus. UT Austin Environmental Science Institute (ESI) puts together these awesome presentations that combine science, learning, and fun. Here’s a list of the events for this spring semester. You can also catch up on Hot Science – Cool Talks past events.